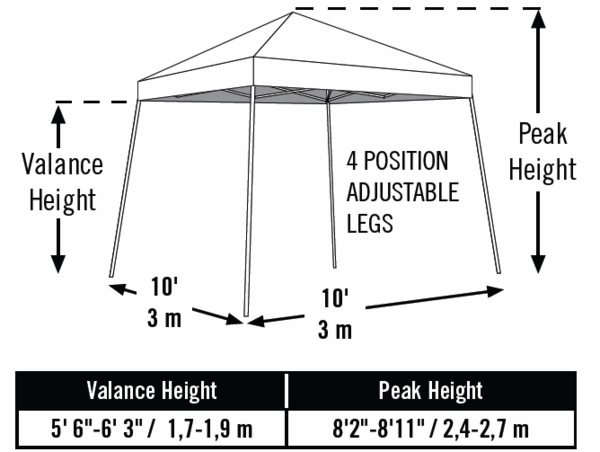 Base, Low: 9'-11" x 9'-11"
Base, High: 10'-4" x 10'-4"
Cover Dimensions: 7'-11" x 7'-11"
For quick protection from the sun and rain consider this pop up canopy. 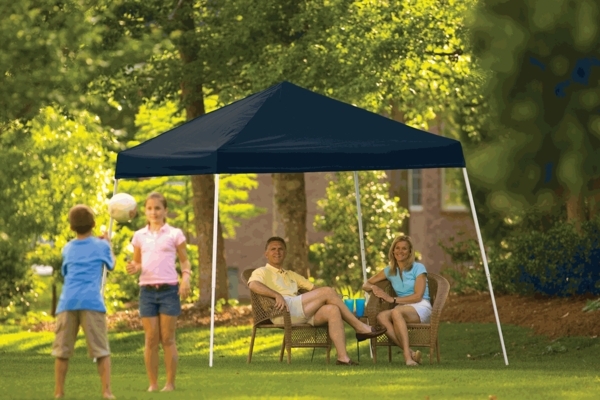 It features a strong steel welded tubular frame. You frame collapses fo you can fold it up. The baked on powder coating on the frame does away with chipping and peeling. Everything is designed for a quick and easy set up and take down. The polyester cover is UV treated. It is also treated to resist fading and is treated to resist mold and mildew. Comes with a bag for transport and storage.